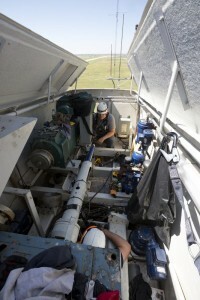 Rapid, cost-effective testing to improve wind farm performance and advance technology. 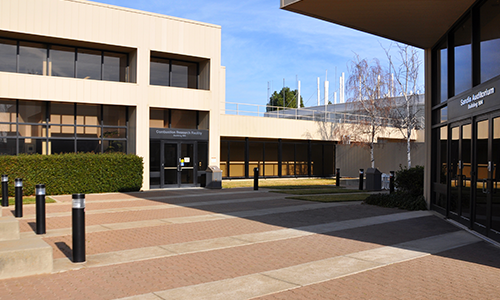 Take a virtual tour of the SWiFT facility now! Improve the validity of advanced simulation models. In 2013, the U.S. Department of Energy commissioned the SWiFT facility to provide an experimental site with research-scale turbines for studying wind turbine wakes and turbine-turbine interactions on a realistic scale. 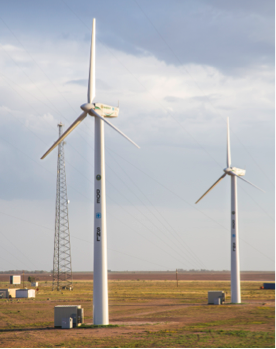 The site is strategically located in Lubbock, Texas, a region with a high wind resource and low turbulence, which is ideal for research. 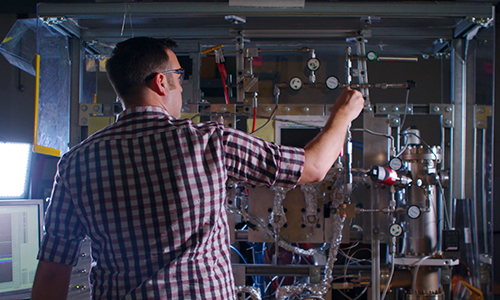 Test-scale turbines, access to Texas Tech’s atmospheric observation tools, and other site facilities enable Sandia and its partners to conduct both collaborative and proprietary testing. 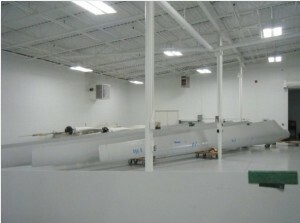 SWiFT is home to three variable-speed variable pitch modified Vestas V27 wind turbines with full power conversion and extensive sensor suites. Because the turbines are smaller than most utility-scale turbines, blades and molds are less expensive, crane scheduling is faster and cheaper, and the risk of failure is substantially lower than would be the case with full-scale turbines. Two turbines are spaced three rotor diameters apart, perpendicular to the oncoming wind. 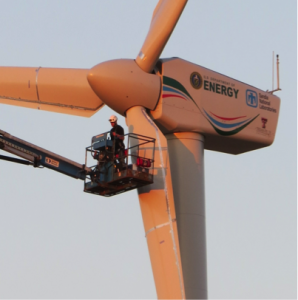 The third turbine is five rotor diameters downwind. This turbine configuration is ideal for studying complex wake flows. 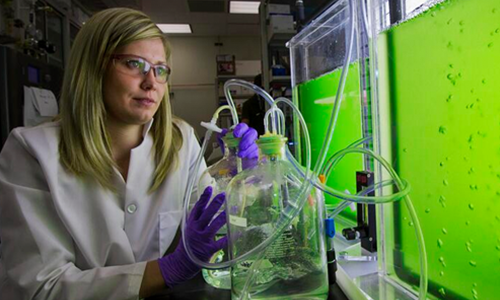 The site has capacity for seven additional research-scale turbines in the future. 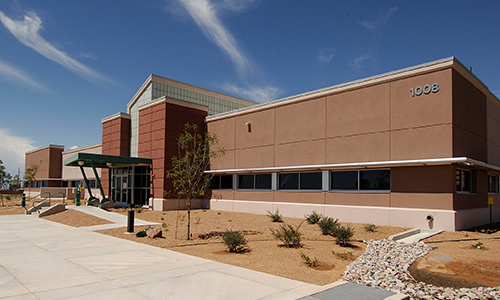 The control building contains 640-square-feet of computing space for wind turbine control, including two offices for proprietary work and an electronics troubleshooting shop. 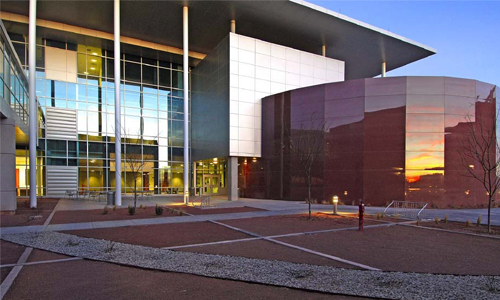 Each turbine has an individual fiber-optic bundle connection directly connected to this building, which allows tremendous data transfer capabilities and flexible site network reconfiguration. The turbines are heavily instrumented with state-of-the-art control and data-acquisition systems featuring GPS-based, site-wide time synchronization. 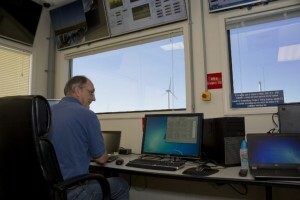 The site instrumentation provides hundreds of channels of structural and aerodynamic data to fully understand the instantaneous state of the rotor, wind turbines and wind farm for advanced control strategies.Additionally, the technical details of the turbine, including the control software, are well documented and available, making data at the site both valuable and easy to share and publish. The atmospheric conditions at the site are also well characterized from more than two years of historical data. 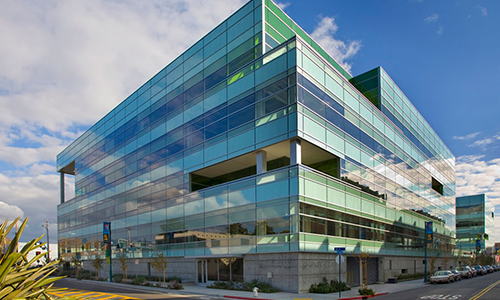 A 7500-square-foot, environmentally-controlled, high-bay assembly area with an additional 2000-square-feet of office space is located near the site for experimental preparation of rotors and other components. 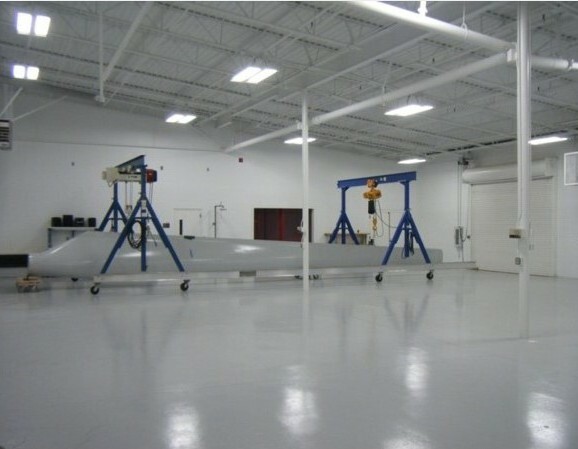 New lighting, painting and HVAC facilitate the most demanding and sensitive instrumentation and experimental calibration. Additionally, a machining area, including a lathe, multiple mills, drill press, welders, and a full complement of tooling, is available to produce unique and on-demand parts. 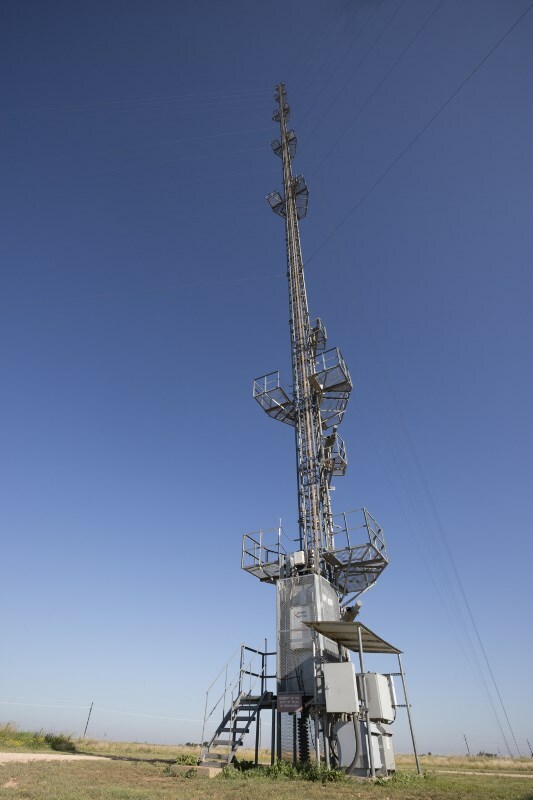 Research activities at SWiFT can use data from Texas Tech’s 200-meter meteorological tower. A 60-meter meteorological tower is located two and a half rotor diameters directly upwind of each of the front two turbines. They are equipped with research-grade, 3D sonic anemometers to measure the inflow at six levels, including one that is a blade length above the rotor. 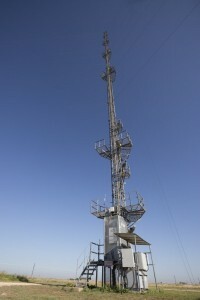 Additional site facilities include the Texas Tech 200-meter tall meteorological tower. 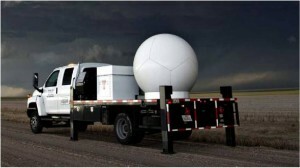 Texas Tech has two Ka-band Doppler Radars at the SWiFT site. Using these radars, Sandia researchers have established a baseline using unique and novel wind farm flow mapping in either full- or semi-precipitating environments. 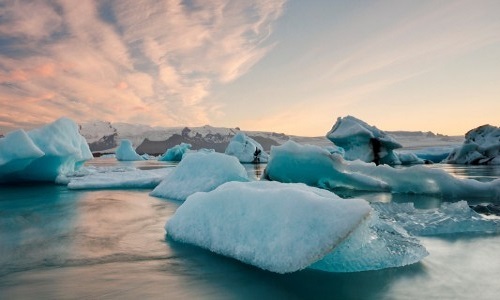 turbine inflows are adequately characterized. 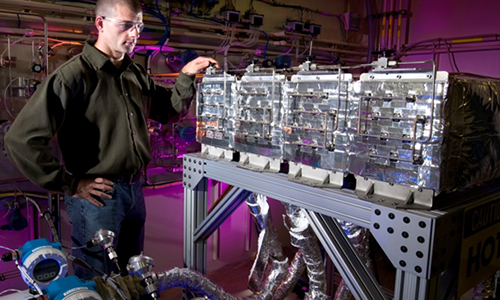 The Sandia Wake Imaging System (SWIS) is designed to measure the formation and development of flow structures near the turbine rotor at temporal and spatial scales not accessible by current measurement techniques such as scanning LIDAR or particle image velocimetry (PIV). The SWIS uses Doppler Global Velocimetry (DGV), a method in which laser light is scattered off aerosol particles that trace the flow velocity, shifting the laser-light to higher or lower frequencies. This frequency shift is recorded by specialized cameras and the data are processed to produce instantaneous images of the flow velocity. Because of its high-spatial resolution (16,000 data points per sample) and ability to capture 3D flow structures, the SWIS will produce novel experimental data to help researchers better understand fundamental wind turbine wake phenomena and to validate computational codes and design tools that will be used to improve utility wind plant performance. 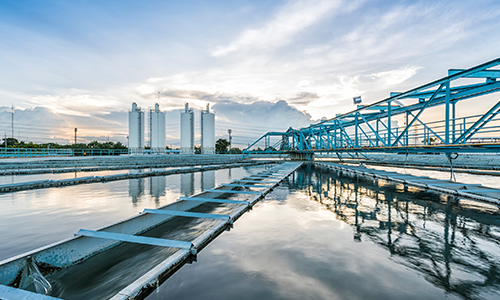 Learn more about the SWIS deployment process. 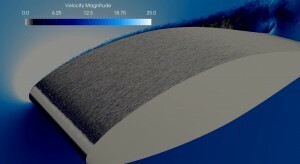 Simulation of the detailed flow over a stalled wind turbine blade section performed on the DOE Trinity supercomputer using the Nalu code. Sandia develops tools to help wind plant operators and planners more accurately predict a plant’s power production and understand potentially damaging blade loading scenarios. Sandia applies high fidelity modeling capabilities and uncertainty quantification techniques, originally developed for weapons research, to reduce uncertainties in wind plant operations. 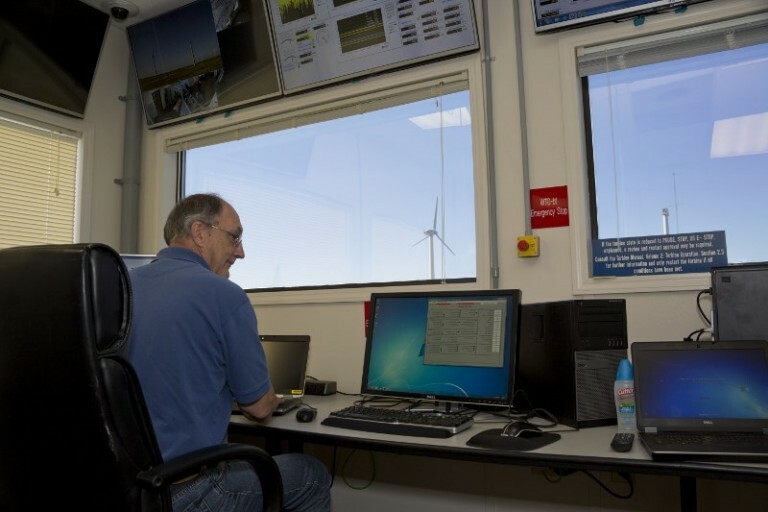 In particular, the Nalu computational fluid dynamics code is emerging as a basis for a next-generation wind plant flow modeling capability that will be exercised on the nation’s largest supercomputers. 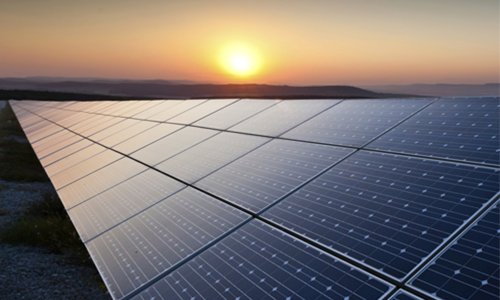 Under development in collaboration with other national laboratories and validated by experiments at SWiFT and other facilities, this capability will enable operators and developers to predict blade health, power production, and plant costs more accurately, thereby reducing the overall cost of wind energy. 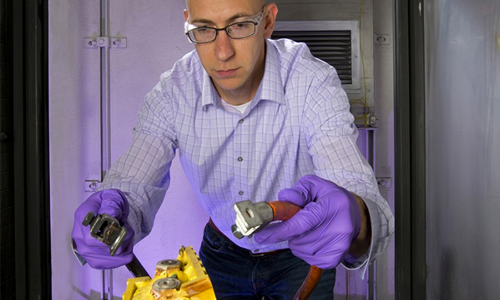 Sandia designed the National Rotor Testbed (NRT), a research-scale blade, to replicate the wake of utility-scale rotors on a smaller, more cost-effective scale. The blade set, which was manufactured from the first-ever 3D printed wind turbine blade mold, will be used for experimental campaigns at SWiFT. Using historical data from the Texas Tech University 200m meteorological tower, Sandia researchers analyzed the frequency and magnitude of atmospheric conditions at SWiFT. 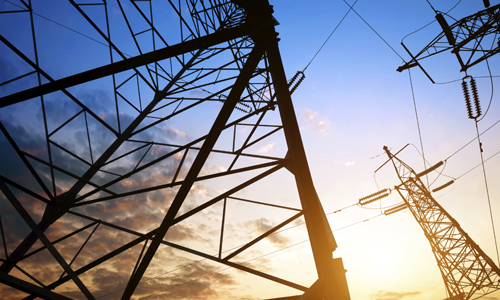 The results of the analysis summarize the bulk atmospheric conditions, such as the variable averages and distributions and the SWiFT turbine International Electrotechnical Commission (IEC) design classification. 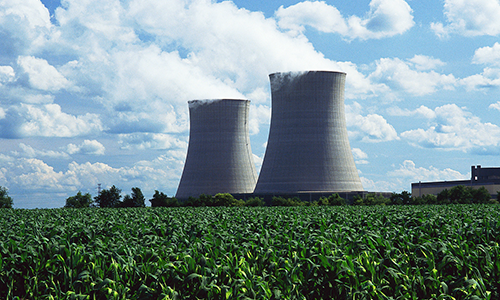 This information will enable modelers to simulate the site using probable conditions and, thereby, inform the design of experimental campaigns. The final report summarizing the analysis can be downloaded here: SWiFT Site Atmospheric Characterization. View a presentation about the SWiFT facility. Christopher L. Kelley and Brandon L. Ennis, “SWiFT Site Atmospheric Characterization,” Sandia National Laboratories, Albuquerque, NM, Jan.2016, SAND2016-0216. White, Jonathan; Berg, Jonathan Charles; Maniaci, David Charles; LeBlanc, Bruce Philip. ; Naughton, Brian Thomas; Paquette, Joshua A.; Resor, Brian Ray; Bryant, Joshua; Kroeker, David, “Scaled Wind Farm Technology Facility Overview,” Sandia National Laboratories, Albuquerque, NM, Dec.2013, SAND2013-10632C.